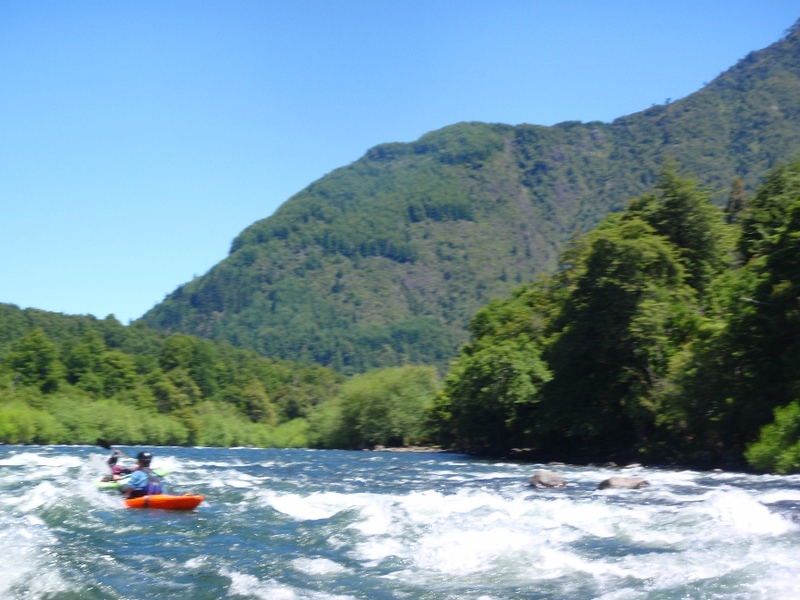 The Lower Trancura is an excellent option for a class III boater wanting to get on a good run, with a few standout rapids to challenge themselves with, and be accompanied by views of three different volcanoes, near the take-out you can actually see all three at the same time. That is definitely an experience that you can’t get in California nor anywhere else in the lower 48 states that I am aware of. 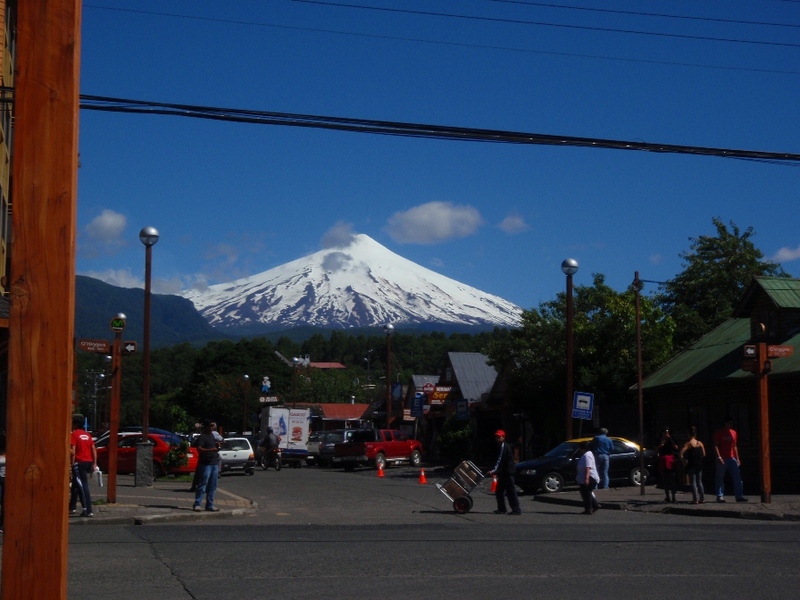 Plus, the plethora of views of Volcan Villarica gave Nate plenty of time to contemplate if it were smoking more than the day before, to which he would respond with alarm. Or if it were smoking less, this too was surely a sign something was afoot to which, the alarm would be raised. I think the frustration his sarcastic alarm caused Rodrigo was motivation enough to continue with the charade. I know I certainly found it humorous. So anyways, in this river, most of the rapids are class II-III. There are maybe 3 that standout as harder. The first is above the confluence with the Rio Liucura. 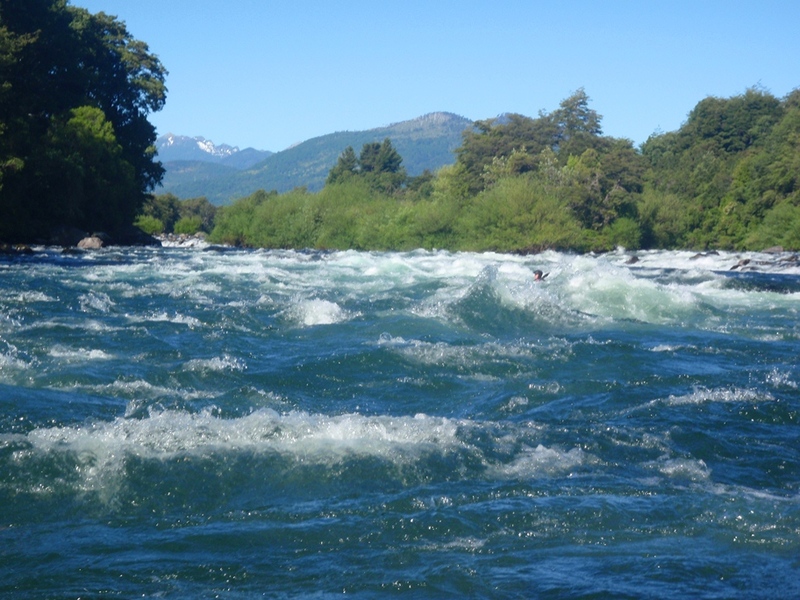 After a long class II the river bends right and falls through several large waves and makes a near 90 degree turn left. The key is to be heading left here as 50 feet downriver of the river right wall is a massive low angle hole on the river right that would surely cause a swim. 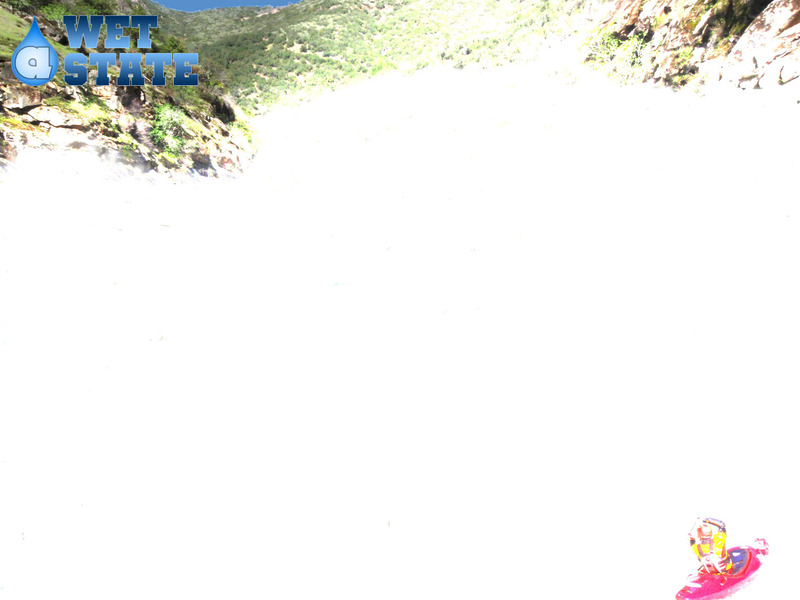 The next big rapid is at the confluence and consists of big waves for a big hoot. 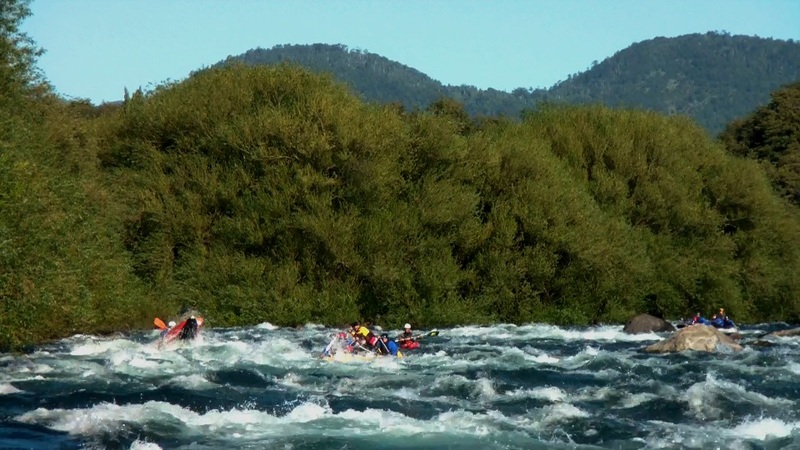 The final rapid is just a long bolder bar affair that ends in a shoal. Although this run will not get the class V gnar boater’s heart racing, it is fun in a playboat and its views alone make it a worthwhile trip on a rest day. El Pescador (IV-). A large wave train leads to a 90 degree left turn, just after the turn and downriver 50 feet is a massive low angle hole. Get to the left of it. Do not venture into the hole. Rio Liucura Confluence (III+). A large wave train with 6-8 foot tall waves crashing down on you gets a grin on your face. 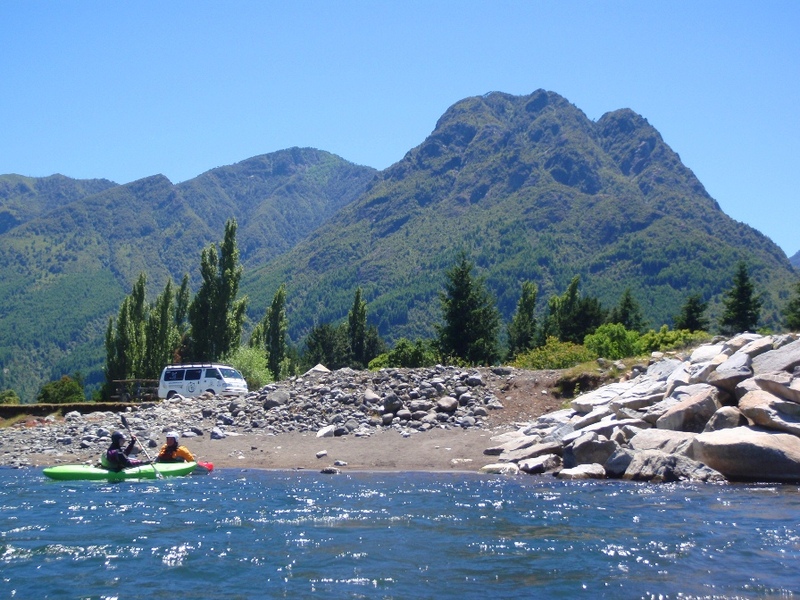 Rio Turbio Confluence (III+). 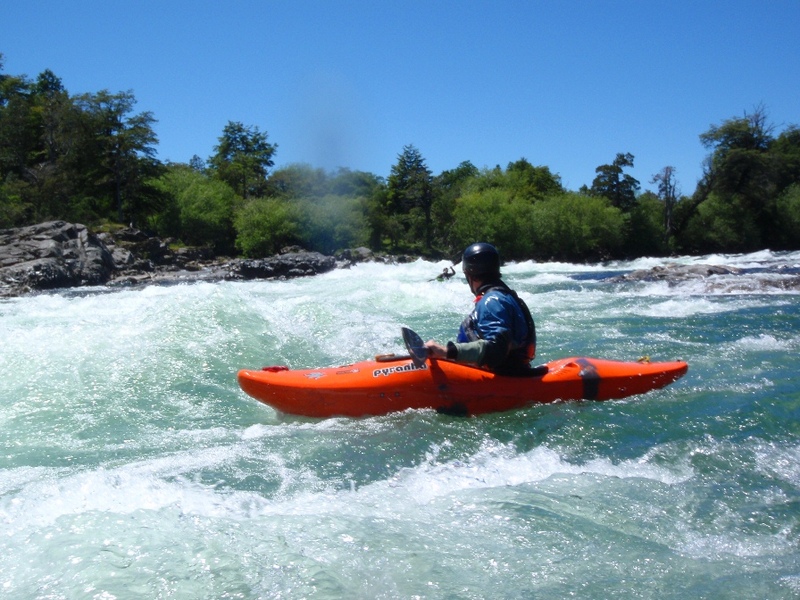 A long and rocky rapid can be run down the gut. There are a few hidden waves and holes in there to keep you on your toes. 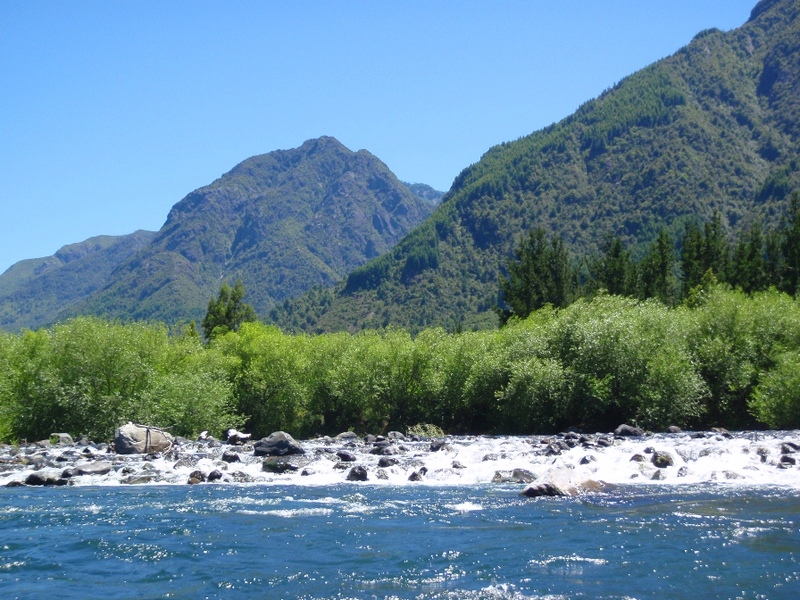 At the end, when it is obvious the river widens out and drops over a shallow shoal, get far left for the cleanest lines. The Last Rapid (III-). 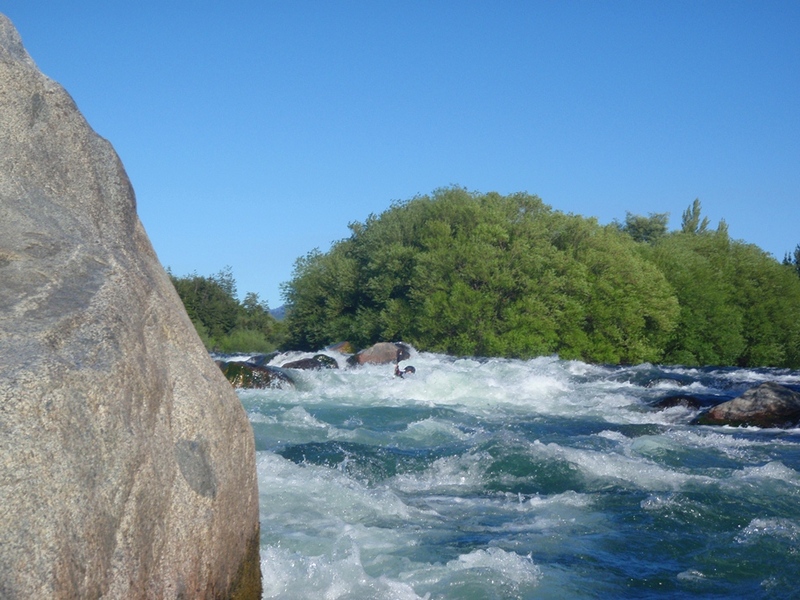 The last rapid occurs when the river splits around a few braided channels. We took one of the middle ones which ended in some nice punch but easy holes. 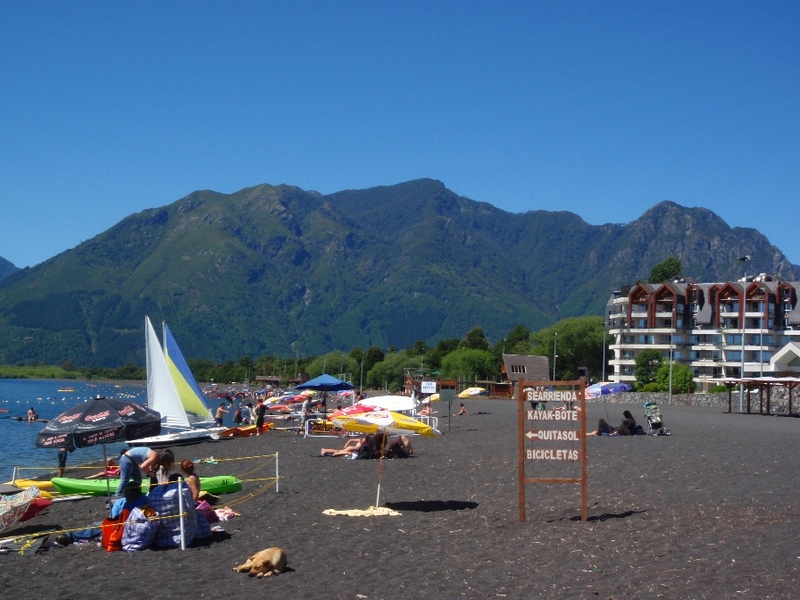 Put-in: Get back to, and continue away from Pucon on Camino Internacional. 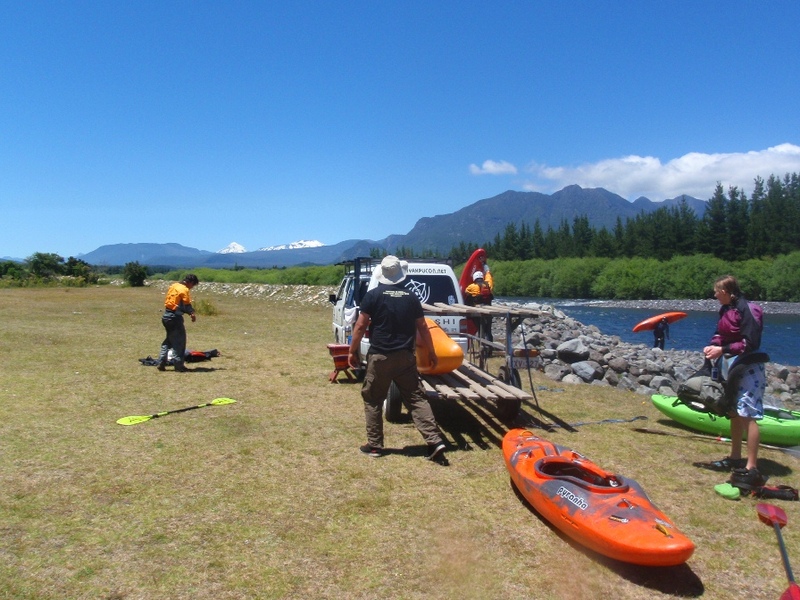 Continue 2-3 miles, you will cross the Rio Turbio and eventually cross the bridge over the Rio Trancura. 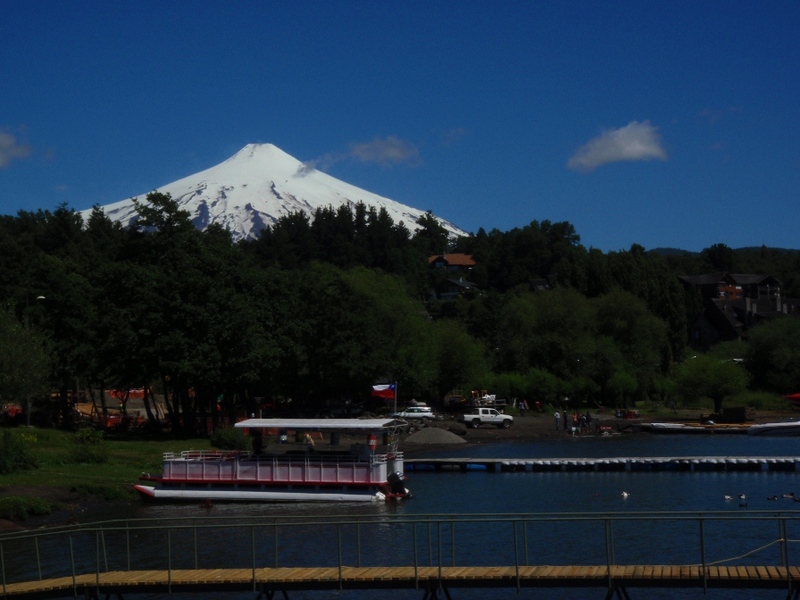 After boating our first day, we had some time to head downtown and take in the sights and the city of pucon.